The larger chipmaker’s stock is close to Broadcom’s $105 bln hostile offer price. It might be because investors are warming to Qualcomm’s stand-alone worth. But that vision fades unless Qualcomm closes its own $38 bln deal for NXP. The danger now is raising its bid too much. 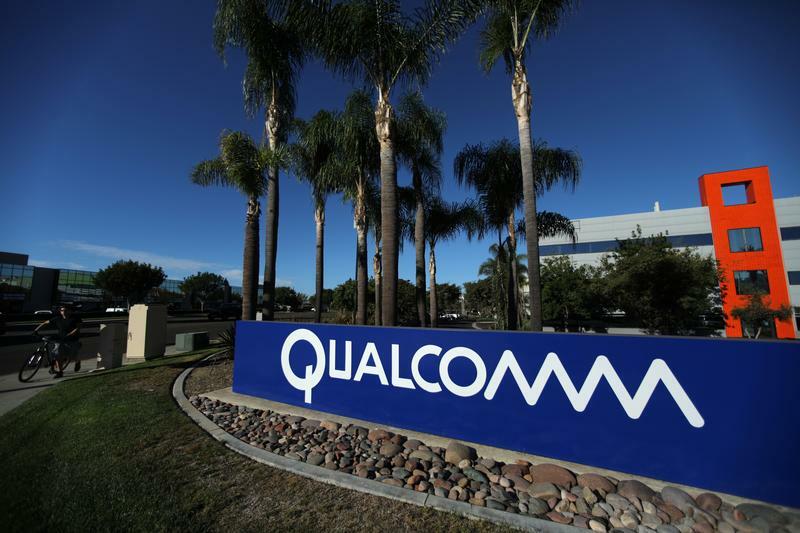 A sign on the Qualcomm campus is seen, as chip maker Broadcom Ltd announced an unsolicited bid to buy peer Qualcomm Inc for $103 billion, in San Diego, California, U.S. November 6, 2017. Qualcomm is due to report earnings for the quarter ended Dec. 24 after the market closes on Jan. 31. Broadcom in November made an unsolicited offer to buy the U.S. wireless-chip and technology-licensing firm for around $105 billion, an approach Qualcomm has rebuffed. Broadcom in December nominated a slate of directors for consideration by Qualcomm investors at its annual meeting on March 6. Qualcomm agreed in October 2016 to make a tender offer to buy NXP Semiconductors for $38 billion. It said on Jan. 18 that, with approvals from South Korea and the European Union, the acquisition had been approved by eight of nine jurisdictions, the remaining one being China. Some NXP investors, including activist Elliott Management, have said the price Qualcomm is offering is inadequate.